Live On NY & Thunder over Louisville! The spectacular spud ventured to Suffern, NY this past week for our third visit to Rockland Community College for LiveOnNY! If you haven’t heard about this amazing organization, they spread awareness about organ donation in the state of NY. New York doesn’t have a lot of organ donors compared to it’s population, because not a lot of people have a normal driver’s license (if they live in the city and don’t drive) which is one of the ways you can register. Therefore, LiveOnNY hosts organ donor sign-up events so New Yorkers can register and learn more about it! April is also National Organ Donation Month so we were thrilled to return once again to help out such a great cause. 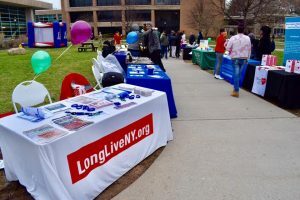 Booths at LiveOnNY event at RCC! 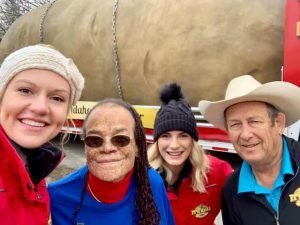 The Big Idaho Potato truck originally got involved with the organization through an amazing woman named Roxanne Watson. Roxanne received a heart transplant back in 2010 and has since dedicated her life to spreading awareness about organ donation. We call her the “energizer bunny” because she has such a passion for what she does! Roxanne has signed up over 11,000 organ donors due to her efforts! 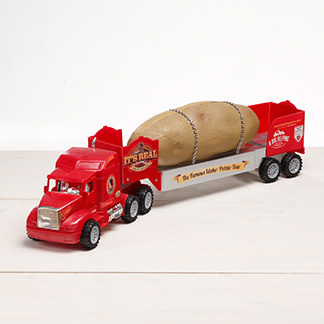 She also LOVES the Big Idaho Potato truck and is one of our biggest fans. After seeing us online, she decided she HAD to have us at one of her events. It was so rewarding coming back for our third visit and to see her honking the horn as loud as she could when we rode in. 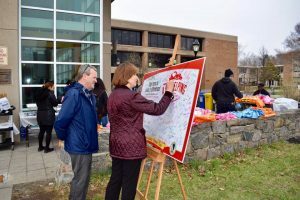 At the event, there was a health fair with different booths from the American Red Cross, Women’s Heart, and others. 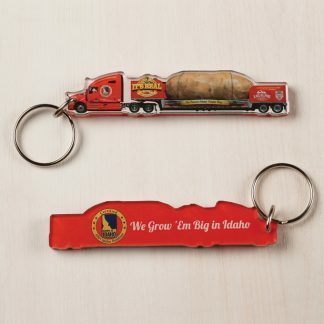 Health education is so important and we were also able to spread our message about heart health and how Idaho® Potatoes are certified by the American Heart Association. Also at the event, there were also free French fries for RCC students, music, inflatables, and more for the students and staff to enjoy. We also set up a signature board where fans could sign to support LiveOnNY. 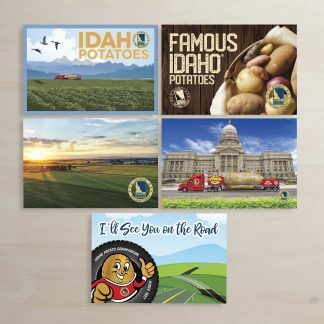 For every signature we received, the Idaho® Potato Commission donated $1. We were able to donate $500 to LiveOnNY that day! Thanks again to Roxanne and RCC for having us. Fans signing our signature board for LiveOnNY! After an amazing time in upstate New York, the #tatertwins and Spuddy Buddy were off to the city! Spuddy got to visit Times Square and walk through the busy streets. He got quite the reaction, so stay tuned for our new upcoming video on social media where you get to see it all unfold! Louisville, KY was our next stop for Thunder over Louisville. Located on the waterfront of the Ohio River, Thunder is the official start of the Kentucky Derby festival. It is also the nation’s largest air and firework show! It attracts 500,000+ people every year and includes carnival rides, vendors, military demonstrations, and more. 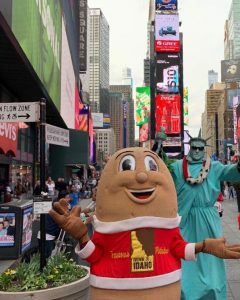 Our thunderous tater was a BIG hit and the #tatertwins gave away potato prizes to fans who participated in dance challenges! It was such a blast and we can’t wait to return to the Kentucky Derby festival for the Pegasus Parade and YMCA healthy kids day! 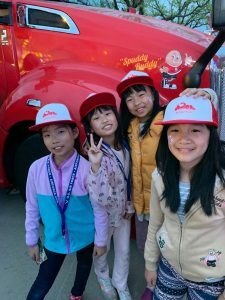 Sporting #BigIdahoPotato hats after participating in our dance off! 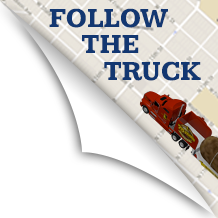 Now it’s off to Idahome, where we will be getting a new tractor for our rig and attending the grand opening of the Big Idaho Potato hotel! Stay tuned! Until next time potato people! PrevPreviousFood City Family Race Night!